The Indigenous Australian People see the Earth as the great serpent Ungut. The Milky Way is seen as another serpent called Wallanganda. 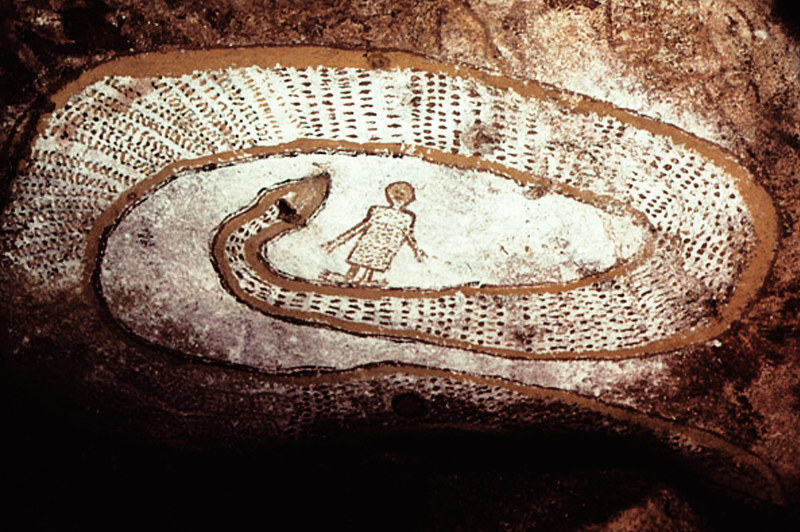 Between them, these two Serpents gave birth to ‘Creation’ by dreaming all the creatures that live on the Earth, including the spirit ancestors of the Aboriginal people, and also the Wandjina who bring both rain and fertility. The Australian Aboriginal Peoples lived in two times only: the primeval times, in which all life came into being, and the present. There is no future. Their language has numerals for ‘one’, ‘two’, and ‘three’ but the word for ‘four’ is the same as ‘very many’. The Wandjina are divided into two groups; the originators of all human customs and the inventors of all implements. 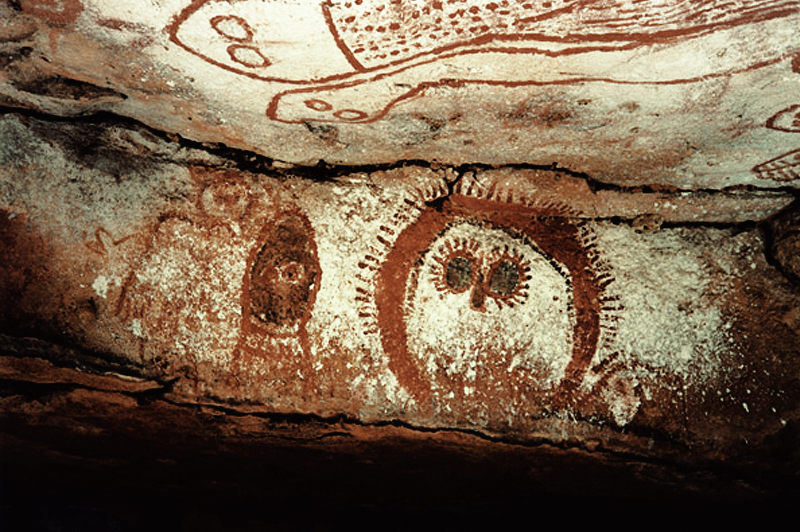 The Wandjina can change from one form to another at will; from a Wandjina, to a w a human, to an animal. The Wandjina live today at the bottom of the ‘watering place’ associated with each particular painting. 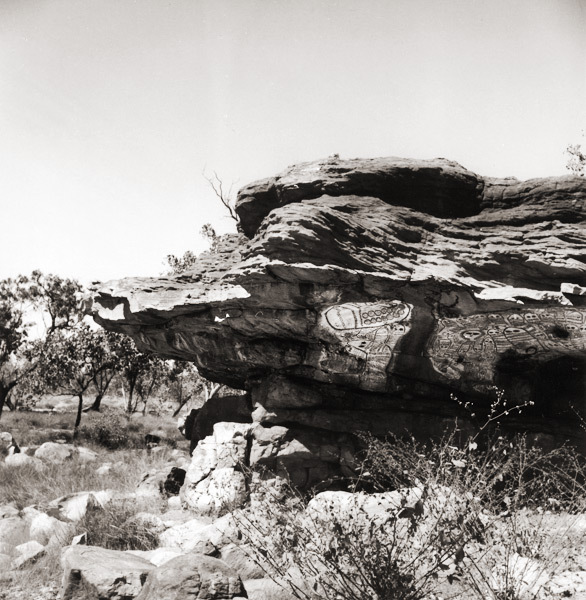 According to the Aboriginal People, when the Wandjina lay down, they entered the earth, leaving their imprints on the stone, so they were believed to be the originators of the rock paintings. Another version of the creation of the paintings is that little birds named ‘Kujon’ created them at the Wandjina's request, with blood from their own wounded beaks. No one has ever seen the birds painting, but it is believed to be true. 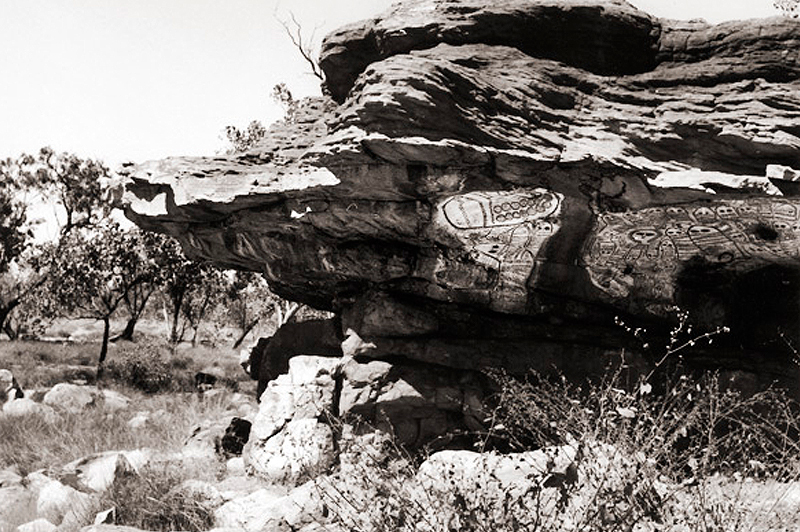 The birds also painted the human figures, named Bradshaw Paintings, on the rocks but these have no connection with the Wandjina paintings, although they are often found in the same rock shelters. The oldest man in the hunting group has the task of re-painting the Wandjina before every Monsoon. When he is finished the artist fills his mouth with water and blows it over the painting, because in ancient times the Wandjina blew the rain over the land in this way. The Wandjina have no mouths so they make a noise that sounds like thunder. When the Wandjina want the rain to stop they become rainbows so the world will not flood. 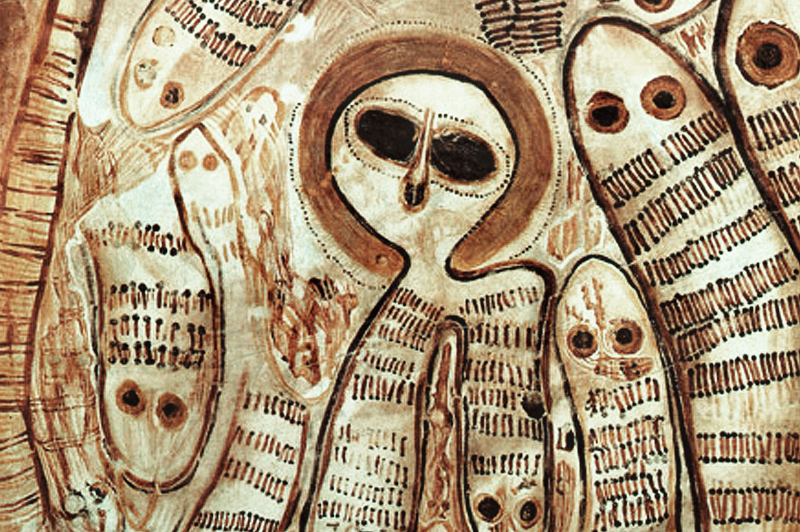 If a Wandjina fails to make rain the old man returns to the painting and throws stones at it, or defaces the nose.